Today we head to the all-new Pandora - World of Avatar land at Disney's Animal Kingdom to do a full review! 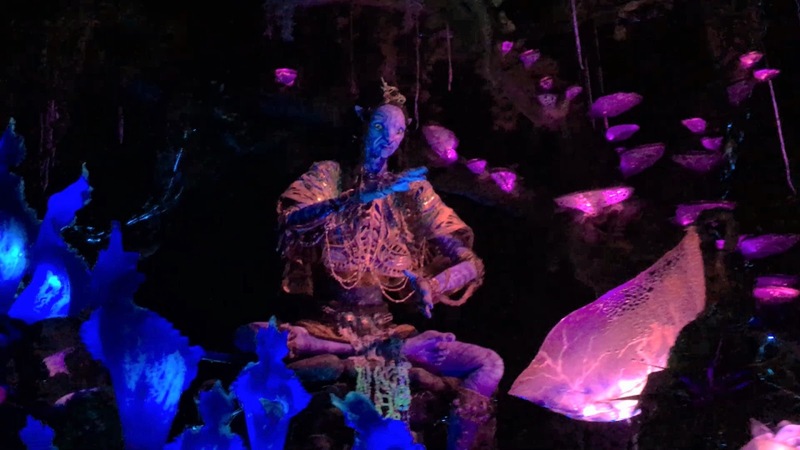 We have a complete guide to the land that includes ride reviews of Avatar: Flight of Passage and Na'vi River Journey, notable items from the Windtraders gift shop, food reviews from Satu'li Canteen and Pongu Pongu, as well as extensive photos of the surrounding bioluminescent Valley of Mo'ara environment! Let's begin! This massive structure of Pandora's "floating mountains" steals your eyes. And I mean it: you cannot look away from this behemoth display. Almost every guest, in a seemingly rehearsed fashion, looks up in awe as this man-made structure is revealed. I found myself staring up at it too, all throughout the day, in amazement. Pictures really don't do this thing justice, as this is an experience designed for real life. Let's start with the land's anchor attraction. 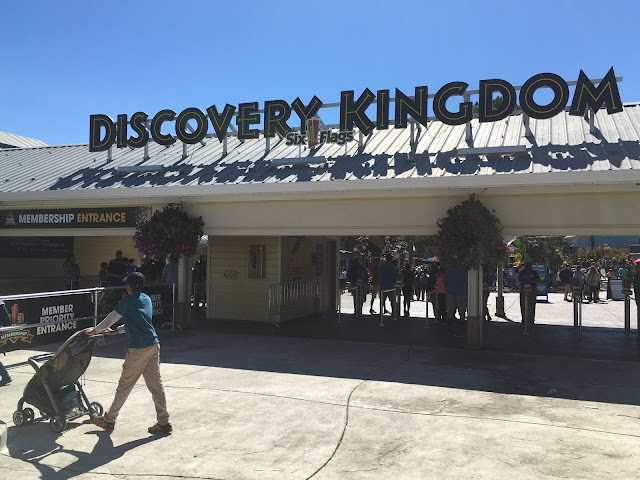 As you can see in the photo above, there is no giant sign advertising the entrance like other rides. This is due to the land's story and theming, as the "Alpha Centauri Expeditions travel company" (ACE) has set up tours throughout the Na'vi's land and wanted to preserve the natural environment as much as possible. You get very close to all of the different environmental features! After snaking around outside, the queue continues through this indoor cave, complete with Na'vi drawings etched into the walls. After walking through indoor sections of the bioluminescent environment, you enter ACE's lab. Seemingly tucked into the queue's twists and turns is this guy. The animatronic is suspended in actual water, and subtly moves and jerks as guests pass by in line. I assume Disney purposely put him in the queue line, as opposed to a more prominent spot on the ride itself, as it catches guests off guard and continues the streak of seemingly impossible sights in Pandora. Right before you board, a video display showing the current humans connected to Avatar bodies on Pandora is shown. You're next! In the first pre-show room, guests are met with a scientist from the ACE lab that explains more about Avatars and riders' upcoming flight on a real Banshee animal. After being "scanned" to find a DNA match for an Avatar, guests are ushered into the next room. After another quick video and final instructions, guests are sent into the main ride building and the adventure begins. As far as the ride experience goes, this is most certainly not another simulator ride. Yes, you wear 3D glasses and ride on a motion-based platform in front of a giant screen. But this is Disney, and the experience has been given the "Disney Touch". As you sit on the unique "bicycle-style" seats during the ride, two air sacs expand and contract onto your legs to simulate the banshee animal breathing beneath you. A mix of water and air is blown on you as your animal crests the ocean surface, and special scents are blasted into your nostrils during various scenes of the ride. You know that you're in a theme park. You remember entering through the turnstiles, walking around the park, and waiting in line for the ride. You also know that Pandora is a fictitious land developed by a Hollywood director. But even with all of this in mind, you still believe that you're in Pandora. The perfect synchronization of every ride element comes together with impeccable timing, and its perfection amazed and distracted me so much that I was willing to believe, for seconds at a time, that I really was flying on a Banshee in Pandora. 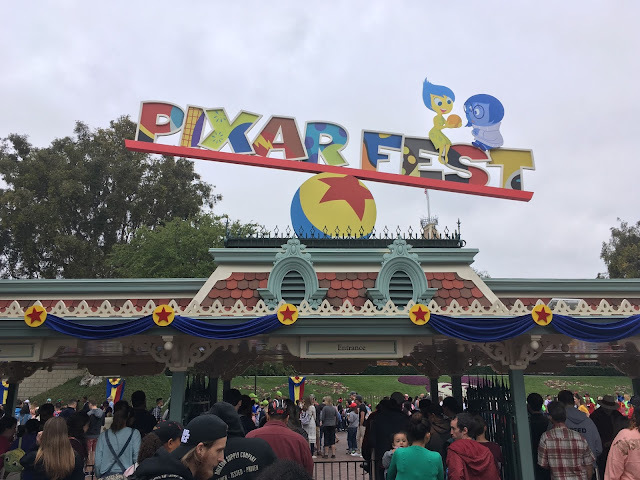 This may seem like an artificially positive review, but I promise that this ride truly lives up to the hype. This is the attraction of a lifetime to be experienced, and I strongly recommend adding it to your list of future plans! Continuing with the discrete ride entrances, the Na'vi River Journey is up next! Although not as much as Flight of Passage, this ride still features some environmental elements while waiting in line. After entering the main show building, guests are loaded onto small, two-row boats to begin their journey. This ride experience differs from Flight of Passage in many ways. 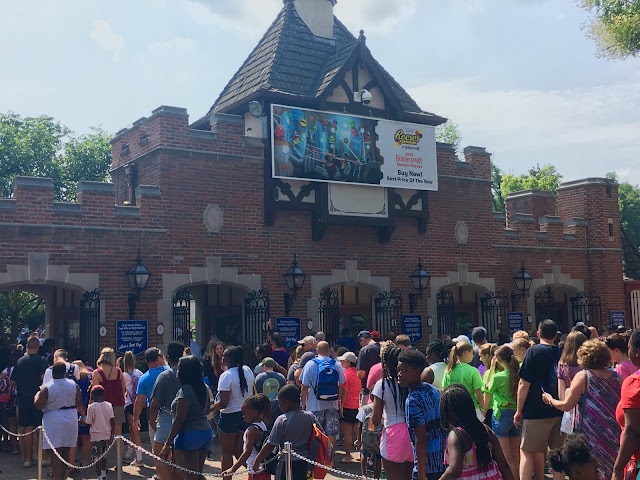 I consider it more of an "abstract" style ride, as the attraction doesn't feature any plot or action-packed story that similar boat-style dark rides have. As the title states, you are simply taking a journey down the Na'vi river. The ride features bioluminescent elements from the Valley of Mo'ara, as well as digital projections blended in with the environment. But the centerpiece of the ride is pictured above: the Na’vi Shaman of Songs audio-animatronic. This has been billed as Disney's most complex animatronic ever built, and it definitely shows. Her range of motion is incredible, and continues the entire land's quest of cutting edge experiences that are seemingly unbelievable. But the hard part is comparing this to Flight of Passage. This boat ride is designed for families, and is a much more tame experience. You aren't swooping through the air on a banshee; you are observing the natural environment on a slow moving boat. After riding the incredible Flight of Passage, I'll admit that this ride seemed a tad lackluster and short. It is still a sight to be seen, but will likely have its fan base with non-thrill seekers. Don't be mistaken: this is still a great ride that all visitors, thrill seekers or not, should experience. But, don't go in expecting an experience similar to its neighbor. The Satu'li Canteen serves unique food offerings for breakfast, lunch, and dinner. The establishment is themed around an old RDA military dining hall from Pandora's previous destructive inhabitants, and has now been converted as a dining hall for ACE travelers. For lunch and dinner, all of the different meats are cooked right here on the open grill! More storytelling elements about ACE can also be found scattered around the building. The restaurant features new mobile ordering on guests' smartphones within the MyDisney Experience app, which allows guests to pickup orders at the far left counter pictured above. Unfortunately, during my visit, the mobile ordering service was down all day (And put numerous pesky holds on my credit card every time I attempted to place my mobile order!). Hopefully this has been fixed by now. Above is the breakfast menu. The food offerings are pretty unique, and are worth a visit during your time in Pandora if you want the complete experience! I tried the cinnamon french toast with blueberry cream cheese for breakfast, which was great! The blueberry cream cheese was definitely a highlight. Continuing the specialty drinks trend for new theme park lands, Pongu Pongu serves both alcoholic and non-alcoholic beverages for thirsty visitors. I tried the Pongu Lumpia snack, which is a spring roll filled with pineapple and cream cheese. I am a big pineapple fan, so I found this treat to be much to my liking! If you're in the same boat as me, make sure to try an order while you visit. Windtraders is Pandora's gift shop, which guests pass through while exiting Flight of Passage. The shop has an interesting piece of technology that allows guests to receive customized Avatar figures. After being digitally scanned, a unique figure is created that matches the individual. You can also build your own Na'vi necklace while in store. This panorama should give you a good sense of location for all of the shops. Flight of Passage's entrance is on the far left, followed by the Windtrader's gift shop, Pongu Pongu beverage spot, and the Satu'li Canteen on the far right. Now it's time for some Na'vi Style nature! Watch out, as these guys intermittently squirt water onto unsuspecting guests! In Pandora, even the environment is an attraction! And this is the bioluminescent Valley of Mo'ara at night! Even the ground glows at night! The plants are definitely strange, and sights to be seen! That is one crazy flower! To conclude: Pandora is absolutely breathtaking. This level of detail and immersion for a theme park experience is incredible, and raises the bar for future attractions. That's all for now from Theme Park Overload! Make sure to "LIKE" our Facebook page to gain access to Exclusive Content and Breaking News Alerts! Facebook.com/ThemeParkOverload My name's Nicholous, and Thanks for Reading!